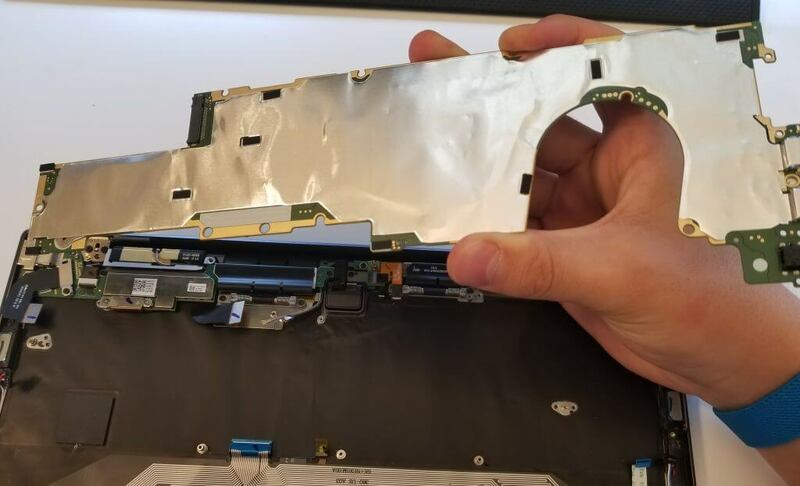 The only heatsink in this laptop is this big metal plate. 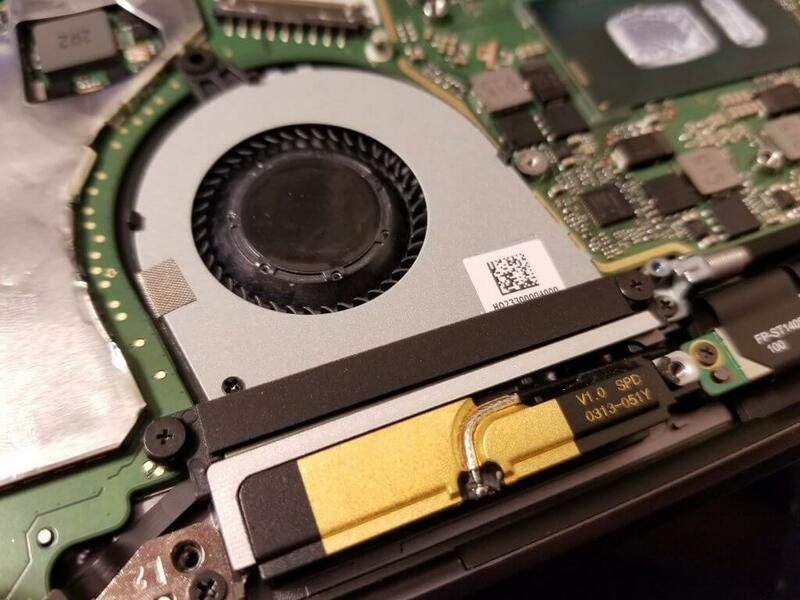 In most laptops, a fan or two blow directly through a stacked-fin heatsink in a process called forced convection cooling. 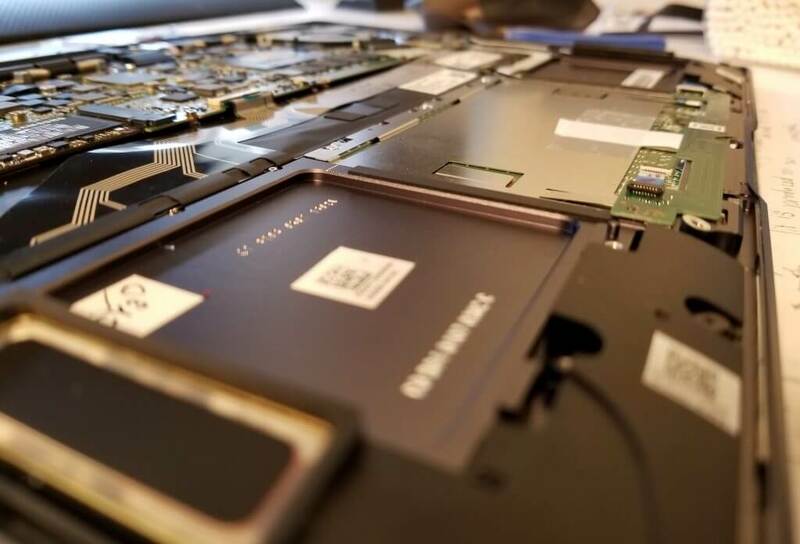 In the X Pro, heat spreads across the metal plate with the heatpipes' help, warming up the air inside the laptop. The small fan exhausts all this hot air and brings in new cool air using negative air pressure. It also generates some, but not enough, airflow across the heatsink plate. 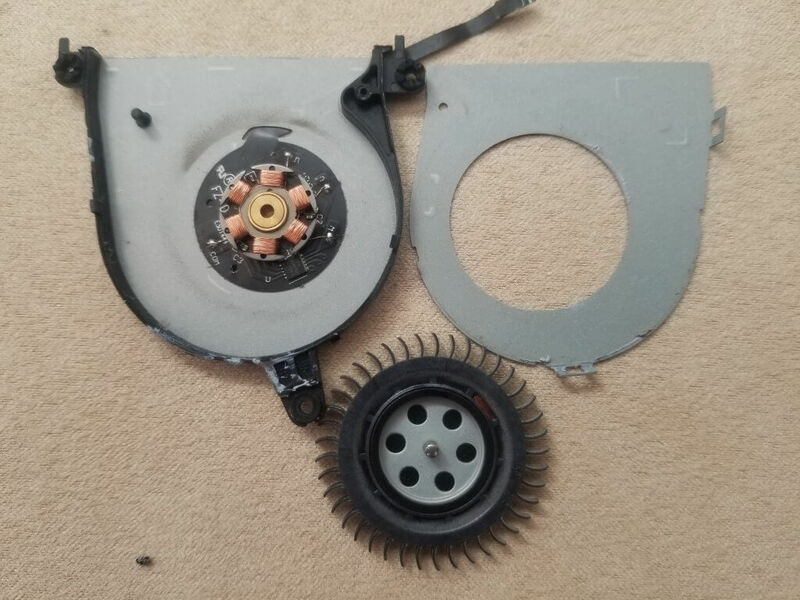 The miserably small fan can spin at nearly 9,000 RPM, but the bar under it (where a heatsink with fins would usually be) is just one of the WiFi antennas. 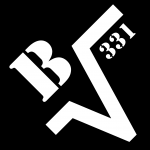 The fan is the model BAZA0504R5H made by Asia Vital Components and rated at 5V 0.5A. This means it could theoretically use 2.5W when spinning at max speed (which happens to be around 8800RPM). 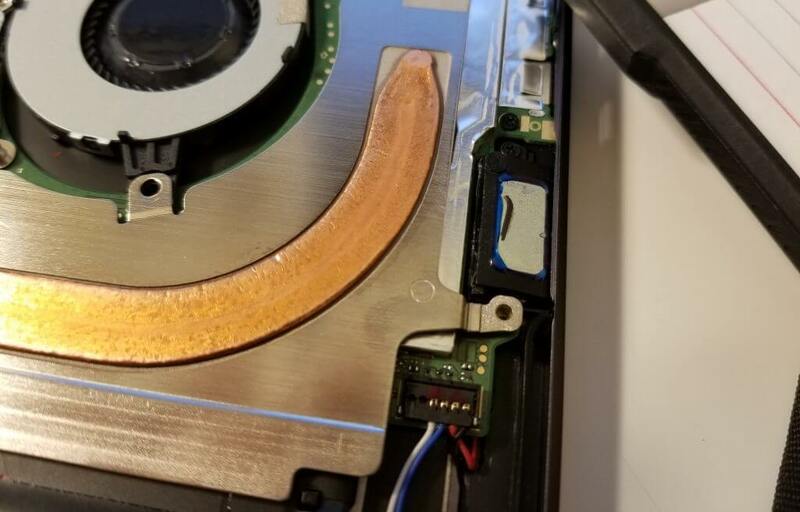 Look at how thin the fan is! 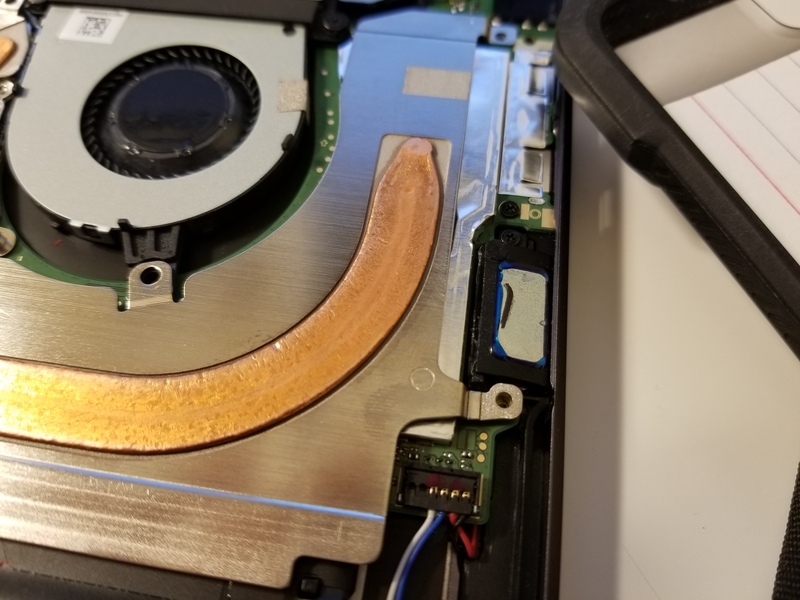 The fan has a sealed bearing. The fan motor is 3-phase with 6 poles. 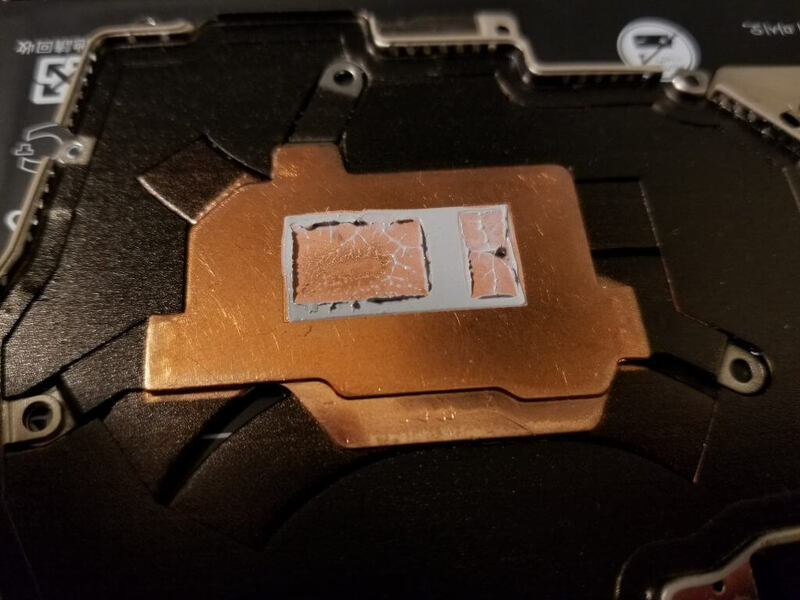 The copper base plate for the CPU. Behind the keyboard is a pyrolytic graphite sheet to spread heat more evenly across the keyboard area. See the motherboard with the heatsink off. 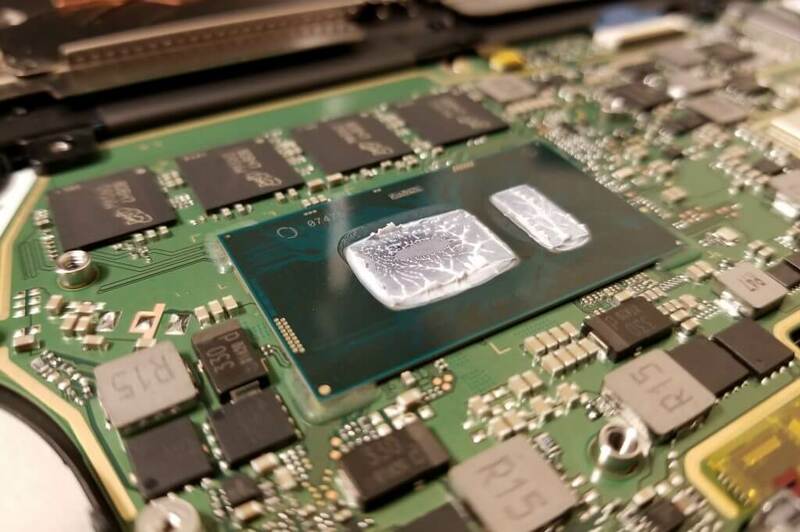 The Nvidia MX150 GPU gets a thermal pad as if it were an Intel iGPU. 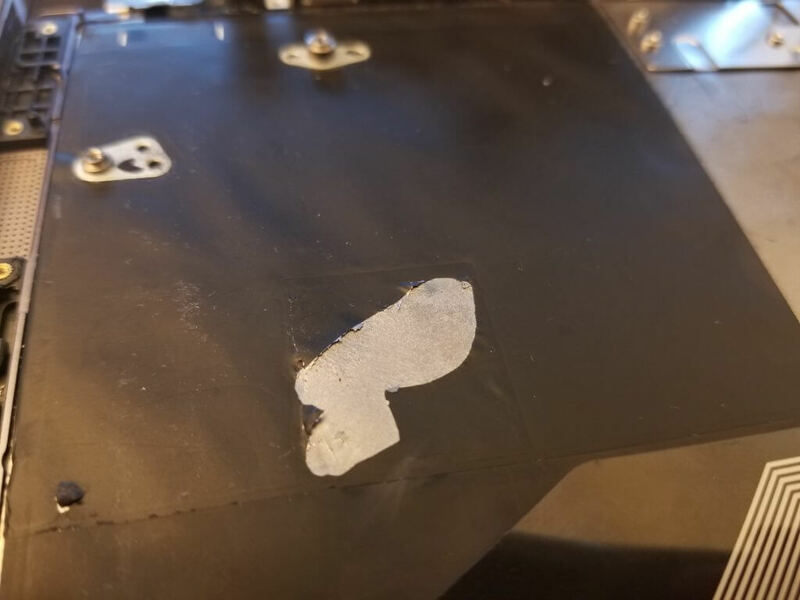 The back of the motherboard is covered with a plastic insulator film. This is the motherboard's back with the plastic film removed. 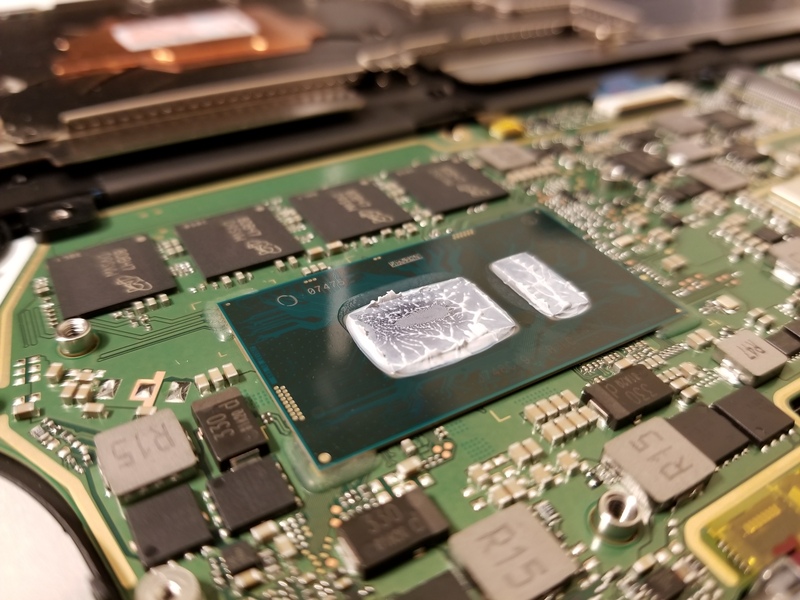 The Nvidia MX150 (1D12 10W version) and its VRAM. The motherboard has good component density. It's also the thinnest I've seen. The coil whine is insane on my unit. 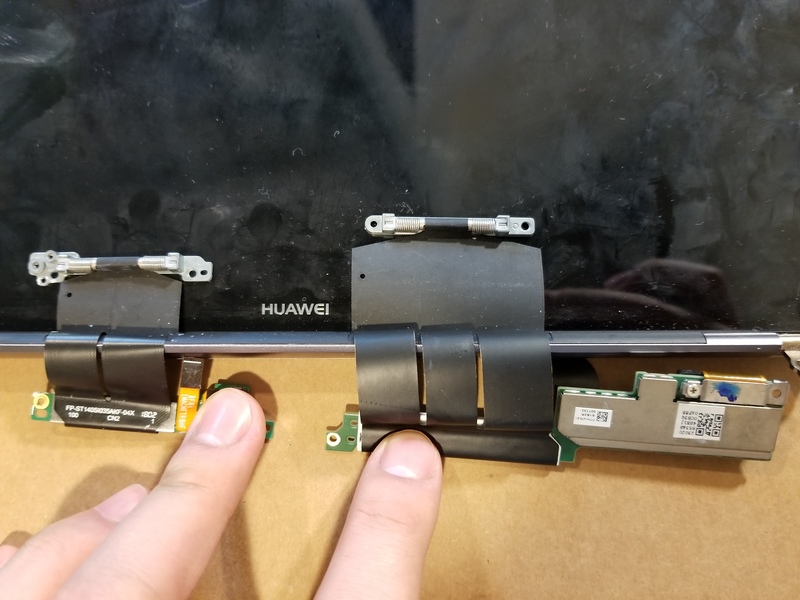 The pop-up webcam's bottom and the springs for reducing the display cable's slack. 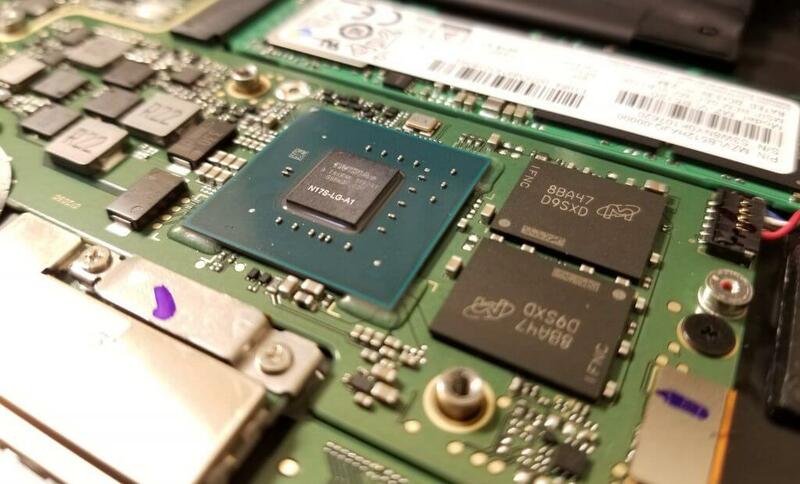 The WiFi card (Intel AC-8275) is non-replaceable. 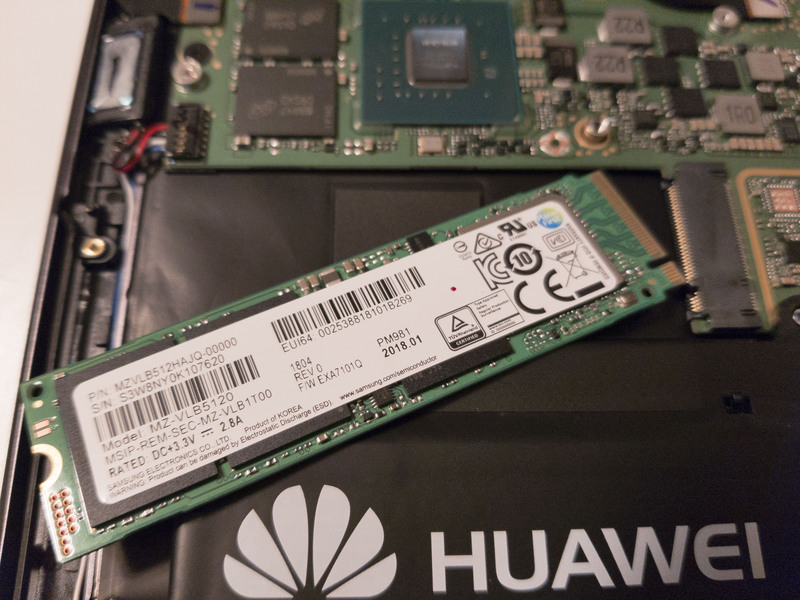 Although the SSD is awkwardly under the heatsink, it can be wiggled straight out. I bought my X Pro on Taobao.com in China and it came with with a Samsung PM981. The speakers under the speaker grill are tiny tweeters. The tweeters fire upward through the grill, and they have a thin fabric filter cover. Most of the sound comes from the bottom-facing speakers instead, which have much larger enclosures. 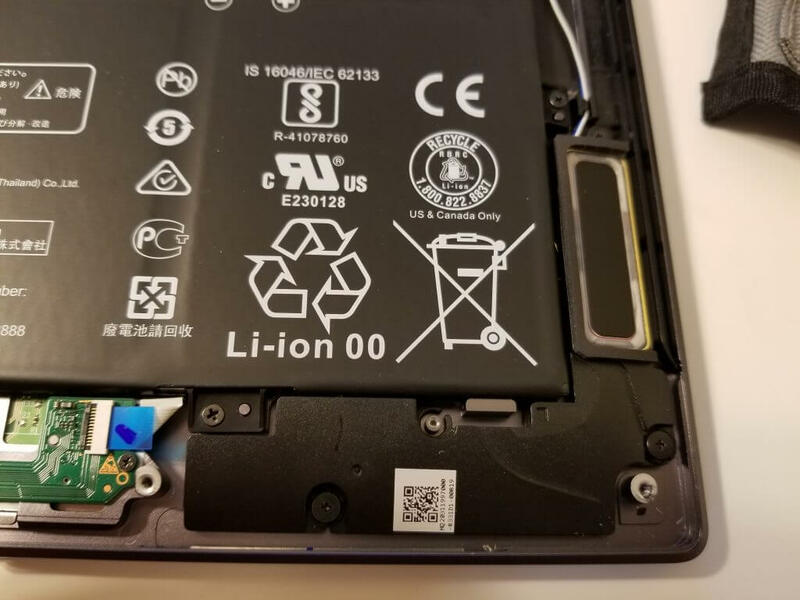 There is a cavity on each side of the touchpad, underneath the battery. 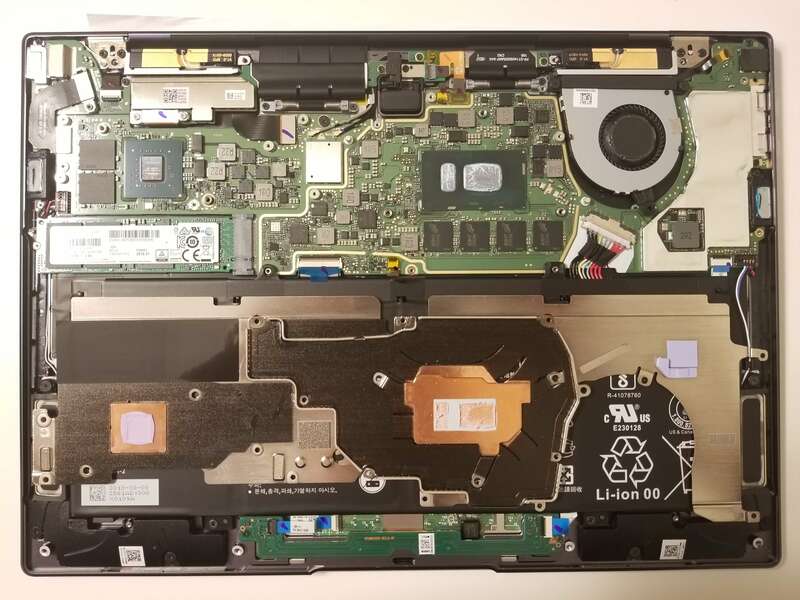 The speakers could have extended into it like in the late-2017 HP Spectre X360 13t. Poor use of space? A little bit. The hinges uses a simple rivet. 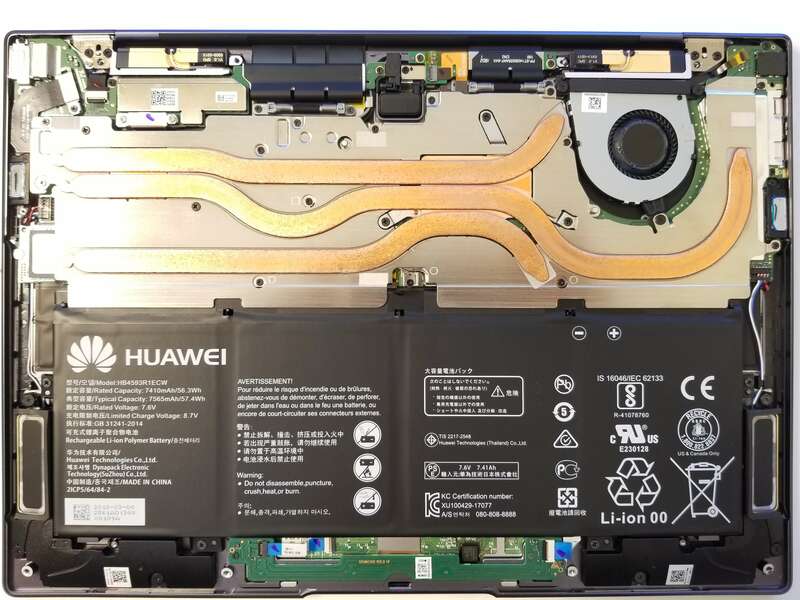 The display ribbon cables are similar to those of post-2016 MateBook Pros. Huawei reportedly probed Apple suppliers to learn their display cable design (the one involved in #flexgate). 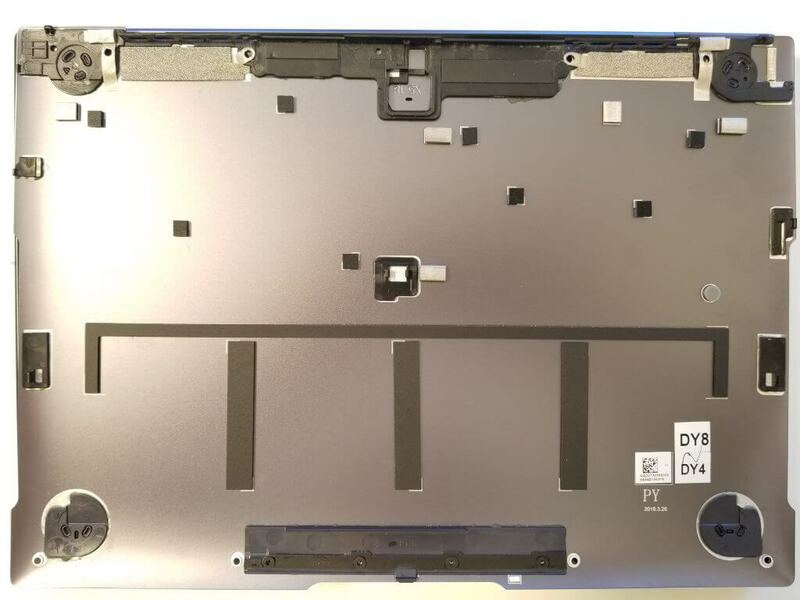 As far as I know, this is the first laptop outside of MacBooks that houses the display controller inside the main body instead of the display assembly. 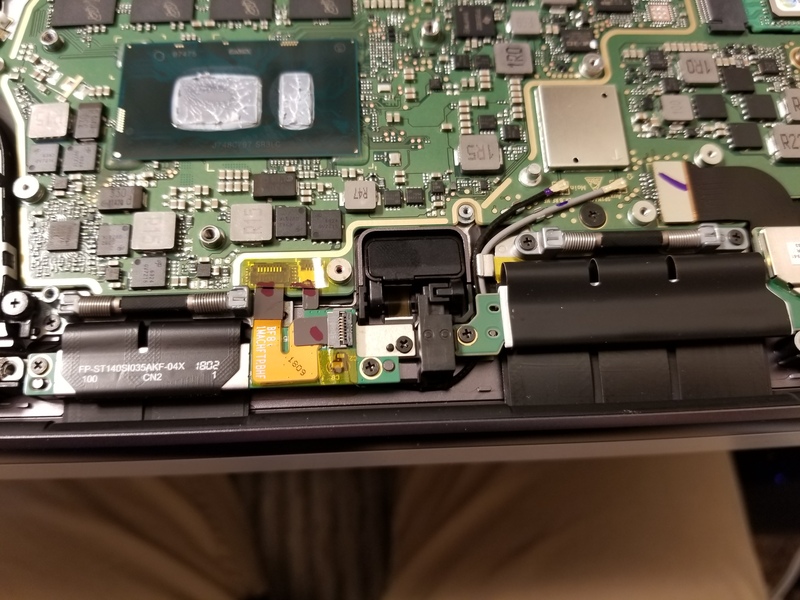 Unlike the MateBook X, there are no screws under the rubber feet. 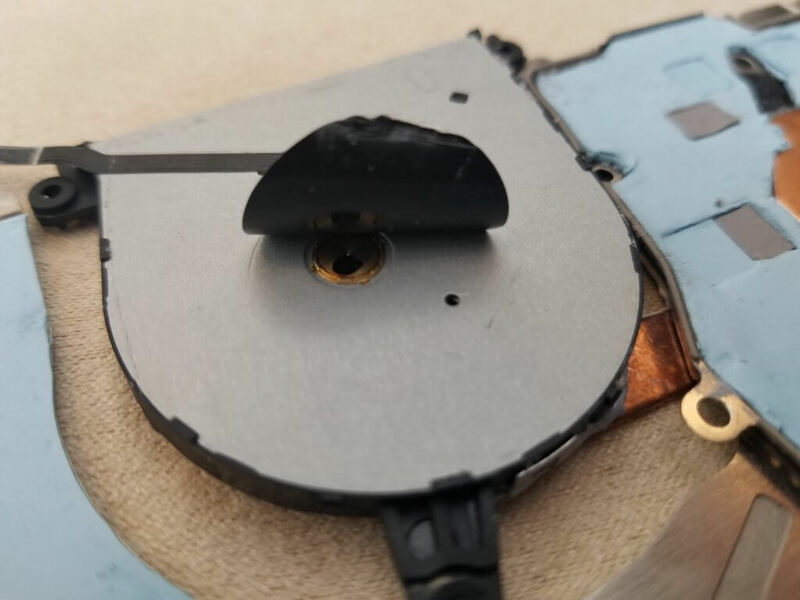 Instead, there are many plastic tabs that hold the back plate firm. The back cover has many foam pads that press against the internals. Use a guitar pick or similar tool to feel, locate, and lift the tabs. Pull the hinge side of the back plate first. No need to be gentle with the middle tab—it's spring loaded. The tabs near the touchpad side like to be slid out. 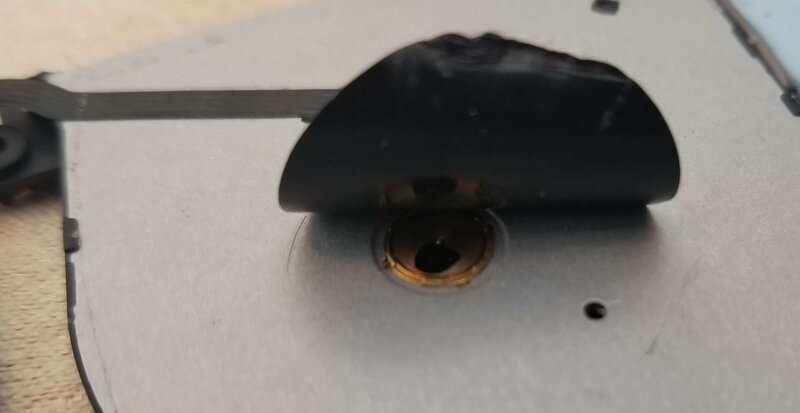 If your touchpad is loose or rattles, read this. 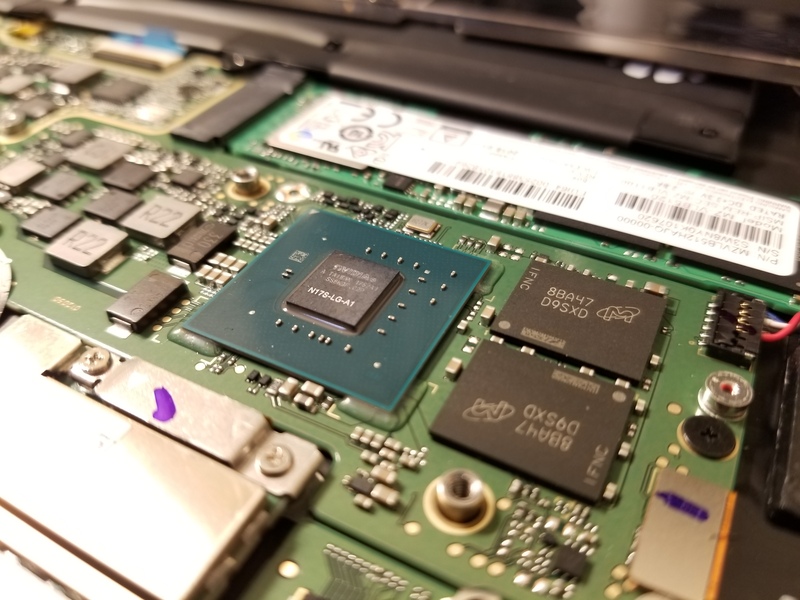 If you want to get rid of throttling and unlock more performance, read this. Have you tried installing ubuntu 18.04 LTS? I’m interested in getting this laptop if it works with ubuntu. I noticed you’re showing a PM981 in the picture of the M.2 slot. Is that the drive that shipped with the Matebook? 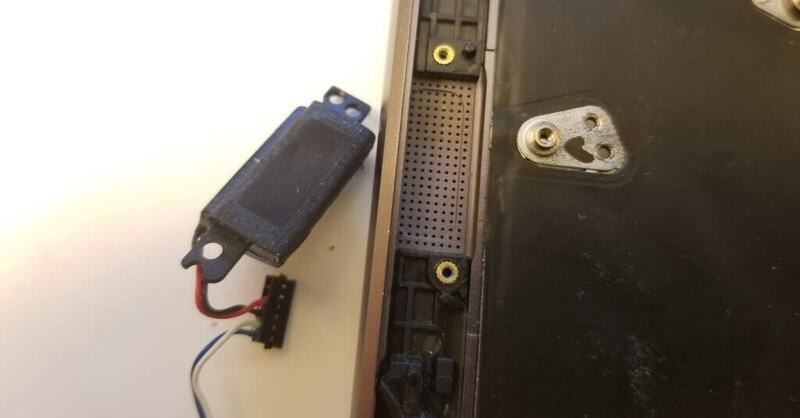 What size are the screws on the bottom panel? 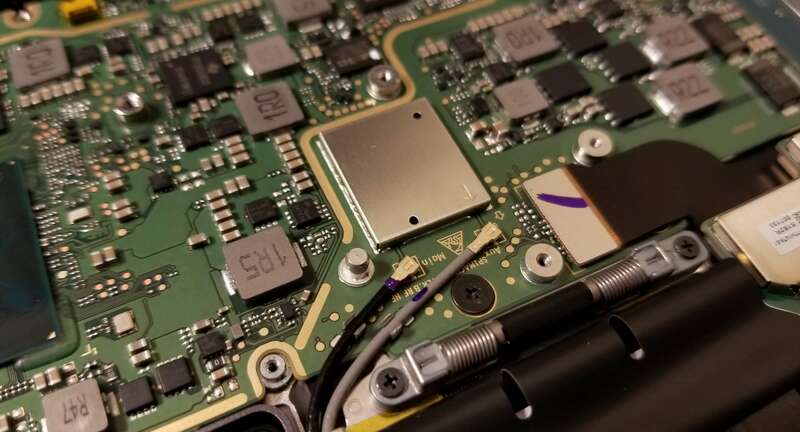 Torx T5? 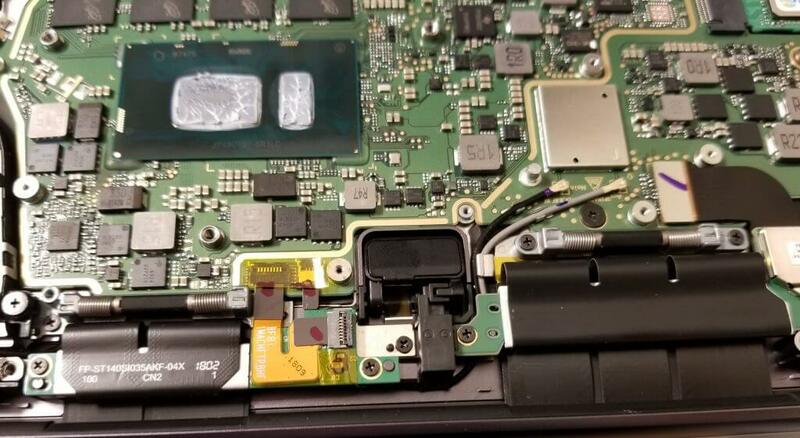 You mention that there’s too much space between the heatsink and the MX150 to use thermal paste, How thick/thin of a thermal pad do you recommend to use here? Quite strange. Surely they’re not going to try to cool the MX150 model in the same way? Any way to unplug the battery without dismantling the heatsink? 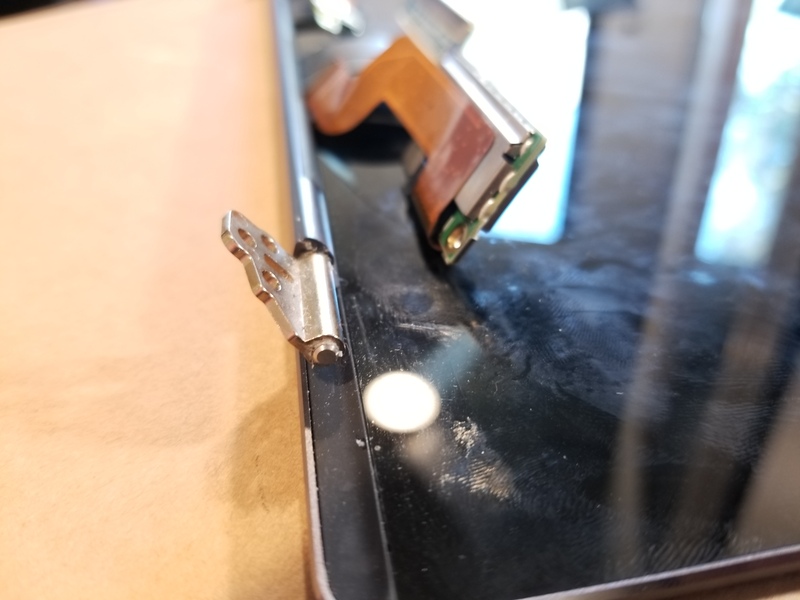 Hey I have a some small cracks in the screen of my matebook x pro. This prevents using touchscreen. 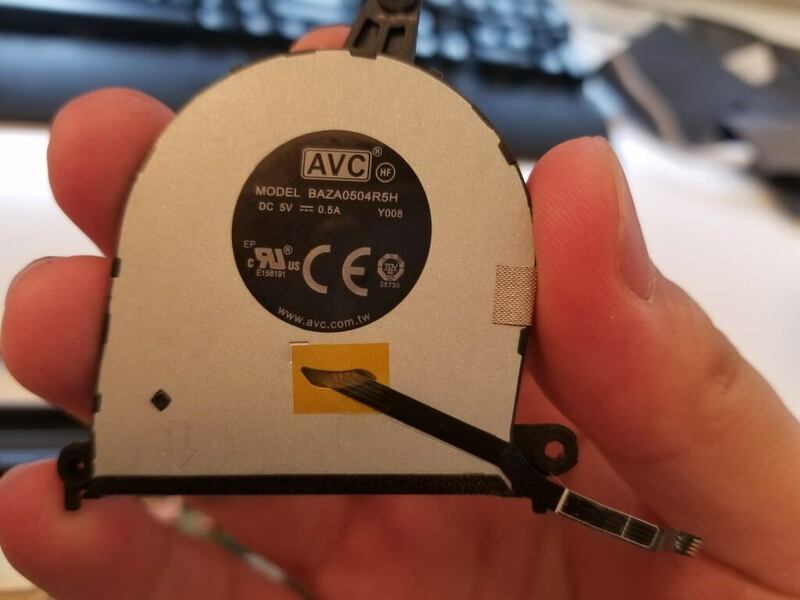 I was wondering if you know a source for the part so I can fix it myself. Love this website, I will do the physical cooling mod in future for sure. It is winter now, the keyboard still get pretty hot. Is there any option to add some heat insulation layer at keyboard backside to prevent the heat ? Wow! what’s the touch screen IC they used? This has been a big help so far thank you! But I have another problem: my hinge is really loose any suggestions to solve that issue? Do you have a tutorial how to replace the LCD?